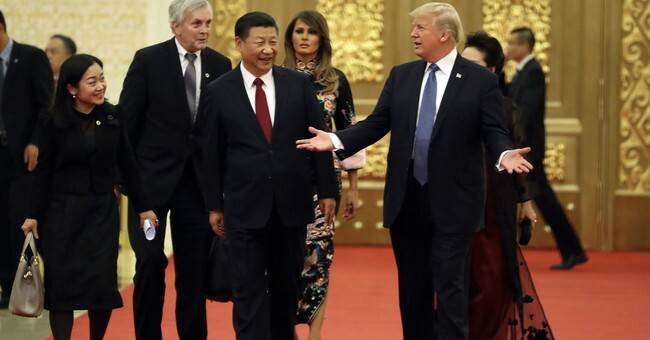 A Straight Up Lie: Hey CNN, You Know Who Else Didn't Take Questions On His First Trip To China? Trump just became the first US president since George H.W. Bush to not take questions from reporters alongside his Chinese counterpart on his first visit here. Clinton, G.W. Bush & Obama all made a point of doing it. The moment happened as Trump and Japanese Prime Minister Shinzo Abe headed to lunch. The leaders were escorted to a dining room that overlooks a koi pond at Akasaka Palace. Moments later, aides opened two large screen doors and the leaders emerged holding two small wooden boxes filled with fish food. As an aide clapped loudly, Abe and Trump tossed spoonfuls of fish food into the pond. Then, with a look of enjoyment, Trump quickly poured his entire box of food into the pond. The move got Trump some laughs, and a smile from Abe, who actually appeared to dump out his box of food ahead of Trump. This was classic fake news. Jay Carney, Obama’s former press secretary, also jumped into the mix, tweeting “The Chinese try this every time. It’s a test of will and principle. Letting them dictate press access is an embarrassing capitulation.” The lack of self-awareness here is just stunning. I mean capitulation is par of the course for Obama’s foreign policy; the capitulation on the Iran Deal (and the ransom we paid afterwards), the capitulation to allow Assad to remain in power after he used chemical weapons, the capitulation to the Russians who we allowed to annex Crimea.